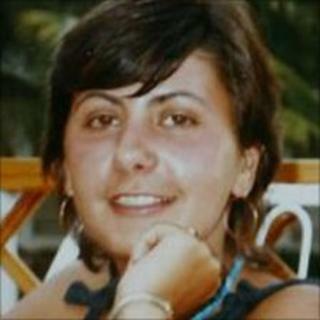 Her name was Mihaela, but the fact she liked to be known as Michelle is a clue to how, despite being brought up in Romania, Mihaela Otto loved London to the core. She moved to the capital in 1984, following in the footsteps of her sister Dania Gorodi, who had married and settled in the city. In Michelle's eyes, it was simply the best city in the world, according to Mrs Gorodi. She loved the shopping and the entertainment, but also the freedom created by London's anonymity. Deep down, Ms Otto, 46, was an introverted woman and "the best listener". Raised in the Christian Orthodox church, she lived in Mill Hill, north London, part of a close-knit, multi-faith family. After her brief marriage broke down in 1986, she and her mother Elena Draganescu, 78, shared the home with Dania, her Jewish husband Matthew, and their two teenage children, Leah and Michael. The prospect of not having children had begun to weigh heavily on Ms Otto's mind, said her sister, but it didn't stop her from getting the most out of life. According to statements given to the police, at home she doted on Mrs Gorodi's daughter Leah. She treated her like her own daughter and they grew extremely close. Ms Otto carried Leah's picture in her wallet. Ms Otto had worked full-time as a sales assistant at Burberry in Regents Street but in 1988 she took an office job with a publishing company in Highbury. Her family said she loved the job, earned a good salary and got on well with her colleagues. She already spoke French and her native Romanian, but the company paid for her to learn Italian. She left the UK for two years to study at the UCL Dental Technology School in Los Angeles and graduated with honours. According to the Guardian newspaper, she was one of only four people in her class to achieve that grade, but decided not to stay on and returned to her family in London in June 2004. An avid reader, Ms Otto was described by her sister as generous, kind and someone with "expensive tastes". Twice a week she met friends to play poker, but her favourite way to pass a few hours was venturing into the glitzy shops of Regent Street and the stylish boutiques of Bond Street. "She had had expensive tastes and she spent far more than she could afford," Mrs Gorodi told the Evening Standard, "especially on designer goods". That fondness for the finer things in life was in evidence on the morning of 7 July when Ms Otto set off for her job as a dental technician in Knightsbridge, carrying her beloved Louis Vuitton handbag. She relied on the Northern Line for her daily commute, but with delays affecting that branch of the Tube, she was forced to switch to the Piccadilly Line. She died, along with 24 others, at the hands of a suicide bomber. "Everyone adored her," Ms Gorodi told the Evening Standard. "She was the most generous, warm-hearted, non-judgemental person - she'd spend £50 on a present if she was invited for dinner, even though she earned less than £1,000 a month."